This page last revised August 24, 2015. 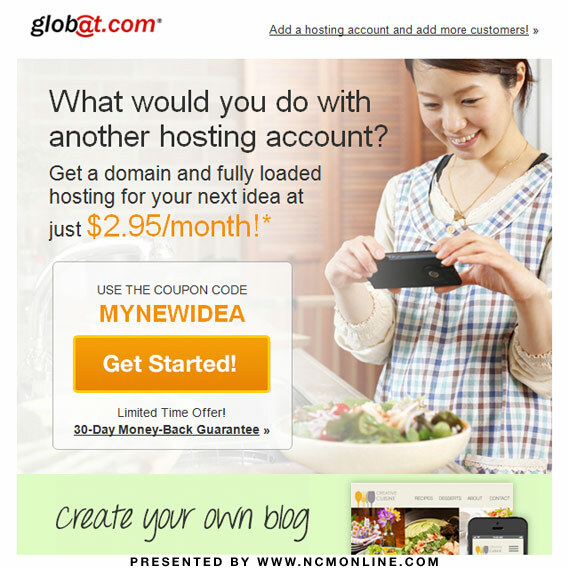 Existing customers get a domain name and fully loaded hosting account with a 12-month billing cycle for only $2.95 per month. Offer valid for current customers opening additional hosting accounts and does not apply to existing plans, renewals, or for affiliate promotion. Promotional price (shown in USD) is only available for 12 month terms and automatically renews at $5.99 per month. Offer ends 8/31/2015.